Those of us called to Christian ministry are commissioned and sent by Jesus, just as he himself was called and sent by the Father. Thus we naturally pattern our ministries after Christ's example. But distinctively Christian service involves the Spirit as well, just as Jesus himself accomplished his ministry in the power of the Spirit. Thus the whole Trinity--Father, Son and Holy Spirit--gives shape to truly authentic Christian ministry. Though as Christians we all affirm the doctrine of the Trinity, many of us might struggle to explain how understanding the Trinity could actually shape our ministry. Stephen Seamands demonstrates how a fully orbed theology of the Trinity transforms our perception and practice of vocational ministry. Theological concepts like relationality and perichoresis have direct relevance to pastoral life and work, especially in unfolding a trinitarian approach to relationships, service and mission. A thoroughly trinitarian outlook provides the fuel for our ministry "of Jesus Christ, to the Father, through the Holy Spirit, on behalf of the church and the world." Essential reading for pastors, parachurch workers, counselors, missionaries, youth ministers and all who are called to any vocation of Christian ministry. 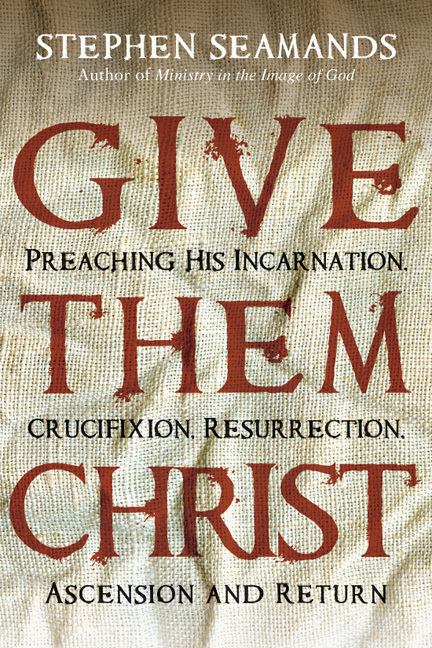 "I had several reactions when I saw Ministry in the Image of God by Steve Seamands. First, I will benefit from this book. I personally need to understand how to more effectively minister in a 'trinitarian shape' as Steve calls it. Second, there are periodic books which go deeper, go well beyond the 'norm' of life. This is one of those. Who would have thought that focusing on the Trinity would give us so much practical help in ministering? Third, anything by Steve Seamands is worth reading. I knew him as a fellow classmate at both Asbury Theological Seminary and later Princeton Theological Seminary. He was thoughtful, focused, reflective, fun, warm and caring. And as you'll learn from this book, he still is!" "In a masterful way, Stephen Seamands teaches us afresh to think Trinity, own the mystery and live in the radical middle of God's mission. This book combines the power of old ideas and contemporary experience with life-changing outcome. I highly recommend it." "Seamands connects the dots between ancient doctrine, Holy Scripture, modern theology and Christian experience, giving us a vision of the Trinity in life that is comprehensible, subtly childlike, a joy to embrace and an invitation to be embraced." "One thing too often missing from the contemporary renaissance of the doctrine of the Trinity is its practical application especially to ministry. Stephen Seamands has helpfully closed that gap with Ministry in the Image of God. Now we know how belief in the Trinity impacts the practices of ministry. Every Christian minister (lay or professional) interested in integrating theology with Christian service should read this book." "Truth about God is not merely academic. It's passionate and practical. Seamands's treatment of trinitarian theology did so much more than inform and challenge me. It did both, but it also reached my soul where the passion to enjoy their community and reveal their character burns like a hot fire." 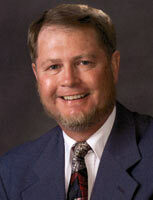 "Few wear the titles of theologian and pastor as well as Steve Seamands, pastoral theologian. Harvesting a bumper crop of contemporary reflection on the triune nature of God, he is able to develop a theology of ministry that flows from and mirrors the communal life of God: Father, Son and Spirit. At once profound and disarmingly simple, here is the sort of theologically practical work that deserves a wide readership." "One of the quiet and unnoticed revolutions of our time has been the extraordinary recovery of the doctrine of the Trinity in Christian circles. Initially the crucial task was to come to terms historically, conceptually and intellectually with this much-needed breakthrough. Yet the doctrine of the Trinity was from the beginning not some abstract, numerical, metaphysical dispute. The Trinity is the heartbeat of a life lived before God that cries out for further exploration in the ministry of the church. Stephen Seamands has answered that cry to telling effect. This is a work that is elegant, sensitive, unpretentious, accessible and eminently practical. It displays a pleasing familiarity with the critical literature; better still it exhibits a burning piety bereft of sentimentality and filled with realistic optimism. This is pastoral theology at its very best!" "This is the book that I was looking for when mentoring pastors in our Doctor of Ministry program years ago! 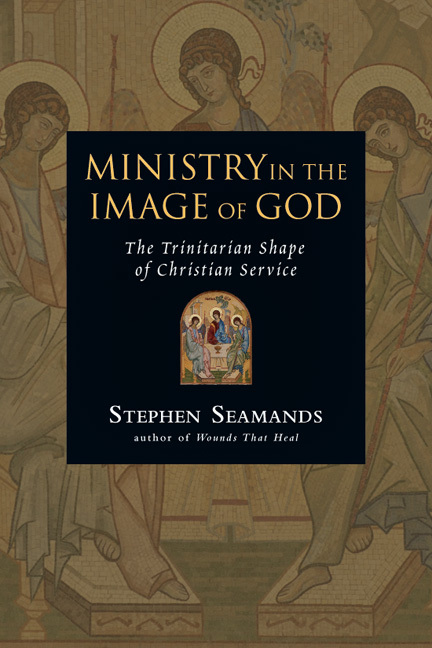 In this lucid and luminous treatment of Christ's ministry to the Father on behalf of the world through the power of the Holy Spirit, Stephen Seamands takes the doctrine of the Trinity off the shelf and reveals the dynamic of God's mission of love and reconciliation from the inside out. Combining scholarly insight with spiritual passion, Seamands traces out the contours of the divine mystery of redeeming love as the image of that which all humans were created to be and that which we who minister are called to do." Stephen Seamands (PhD, Drew University) is professor of Christian doctrine at Asbury Theological Seminary in Wilmore, Kentucky. He also frequently speaks and leads retreats and seminars on such issues as emotional healing and spiritual renewal. 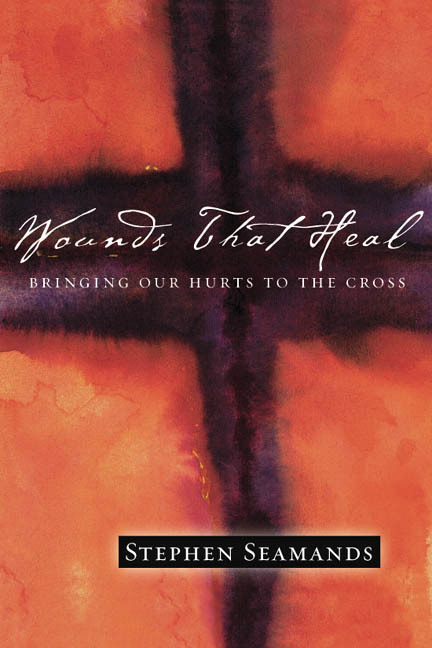 His books include Christology and Transition in the Theology of Edwin Lewis (University Press of America, 1987), Holiness of Heart and Life (Abingdon, 1990), A Conversation with Jesus (Victor, 1994), and Wounds That Heal (InterVarsity Press, 2003).